As thousands take the streets of Trump’s America, this definative voice-of-a-generation protest film tells the story of American radical resistance told through the lens of an anarchist collective in Los Angeles. The recent RT/ Russinan broadcast brough a new Eastern European audience to Radicalized. Now the door is wide open to the entire UK audience. 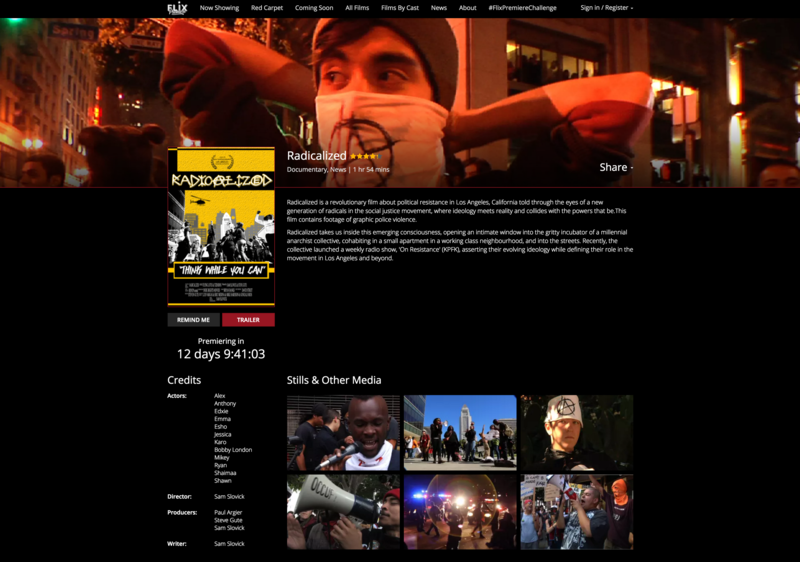 This inside perspective of the new season of political resistance is crafted from thousands of hours of footage shot from 2011 to 2015. Ideology meets reality and collides with the powers that be as articulated through the inner voices and external lives of a millennial anarchist collective near downtown L.A. 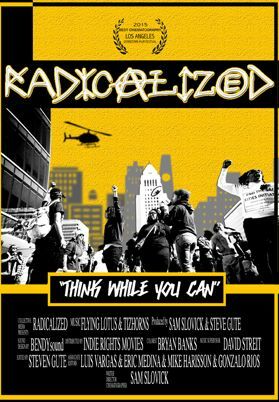 Targeted by law enforcement, repeatedly arrested, intimidated and sometimes beaten, only to be further radicalized, this film contains graphic scenes of police violence.Radicalized is a very personal, untold story of the post Occupy millennial resistance. Anarchy in the UK – Special Radicalized Trailer from RadicalizedMovie on Vimeo.